Xbox 360 gamers tend to appreciate their achievements - a score reward to share with the world after a hard days work. We personally love when you are rewarded for working together, and Borderlands made sure Co-op gamers reap the achievement score benefits. 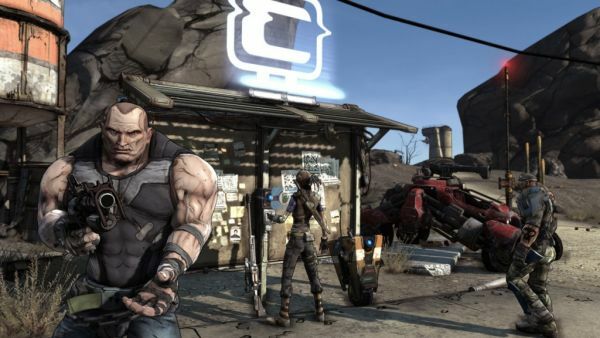 Many of Borderlands achievements seem to be neutral co-op or single player, such as the general rewards for defeating a number of enemies in a certain way. However, these co-op specific achievements make playing together that much more enticing. And they'll tell two friends - Play in a co-op game with either an employee of Gearbox or someone who has this achievement." Plus several "secret" achievements listed, who knows if they hide co-op behind their "continue playing to unlock this secret achievement?" We'll certainly be playing to unlock, to find out!